For someone that grew up with the glorious 80's, early 90's, classic melodic hard rock sound, when you hear the word Tyketto, one song comes in mind; "Forever Young"! The song that becomes a myth for every crazy hard rocker back then was the ticket for Tyketto to become huge!!! But 'cause of the so-called Grunge revolution Tyketto, and many others, did get the popularity that they deserve. With a very charismatic front-man, as Danny Vaughn, and a solid sound, Tyketto released two superb gems of pure Hard Rock heaven. Tyketto made its comeback with "Dig In Deep" and nowadays they present us the brand new "Reach" album. 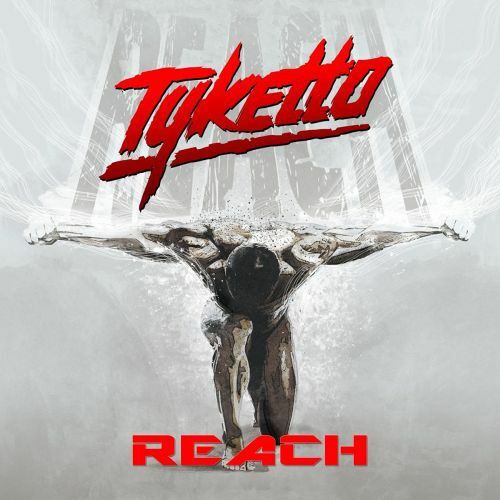 "Reach" and the new album kicks-off with this classic Tyketto song! Up-lifting with a feel good vibe in it "Reach" sounds the perfect opener of what's to follow next!! The groovy and heavier "Big Money" takes control next while in "Kick Like A Mule" the old flames of "Strength By Numbers" record are alive and kickin'! "I Need It Now" is yet another killer tune, with a huge chorus line, which is flavored with a strong late 80's vibe in it and it's among my favorites from the new effort. "Tearing Down The Sky" is CLASSIC Tyketto and the sure thing is that will put a wide smile upon the face of every die-hard fan of the band. "Letting Go" is a more laid-back track with a beautiful melody and Vaughn's superb vocal lines. "Remember My Name", "Sparks Will Fly" and the tune that closes the new record, "The Run" are all three superb pieces of Tyketto in 2016! Großartiges neues Album der Melodic Legende, meiner Meinung nach ihr bester Longplayer seit "Strength in Numbers". Es ist: 20.04.2019, 08:20 Deutsche Übersetzung: MyBB.de, Powered by MyBB, © 2002-2019 MyBB Group.